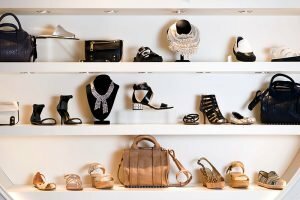 If you need a new sweater, cool new accessories for your home, or a weekend getaway for some “me” time, you should consider Edina, Minnesota—one of best suburbs in the Minneapolis area for shopping and dining. Mpls. 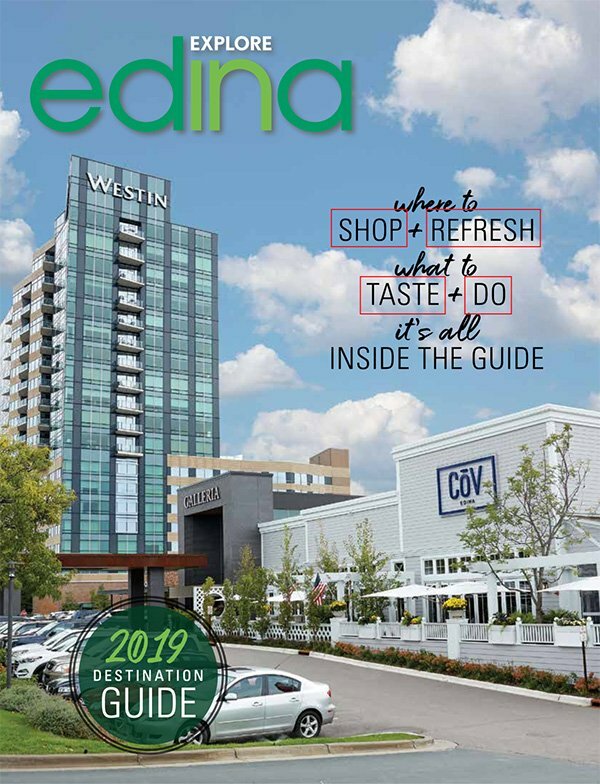 St.Paul Magazine described Edina as “boutique chic in the suburbs,” putting the Braemar Golf Course, annual Edina Art Fair and the Edina Aquatic Center on the top of list of things locals love. 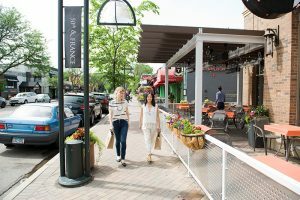 At the top of the list of local favorites is Edina’s shopping destinations, notably 50th & France, which is arguably one of the most idyllic spots to spend an afternoon boutique-hopping in the Minneapolis area. The next time you have a free, long weekend on the calendar, plan to spend it in Edina. 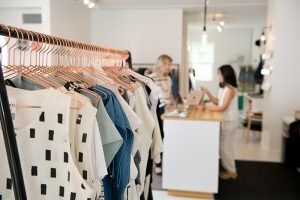 Here’s our three-day guide on the best way to shop and eat your way through Edina. 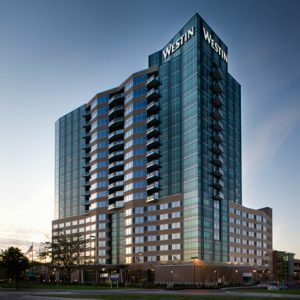 Start your day by heading to the intersection of France Avenue South and West 50th Street, where you’ll find the 50th & France shopping and dining district. Here sidewalks are lined with picturesque street lamps, welcoming storefronts have gorgeous floral arrangements, and restaurants spill out onto the sidewalk with outdoor patio tables. 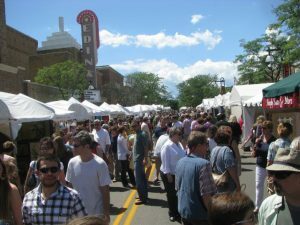 This year, the Edina Art Fair—ranked the No. 1 art fair in Minnesota and one of the best in the nation—will celebrate its 50th anniversary at 50th & France with special events in early June. “We just selected our featured artist,” says Rachel Theleman, executive director of the 50th & France Business Association and Edina Art Fair. The artist will be doing specially commissioned pieces for the fair, to be released 50 days before the event. But 50th & France is the place to be in Edina any weekend of the year, and before you visit any of the area’s cute shops, you have to do breakfast at Edina Grill, which might be Edina’s most famous breakfast joint with a menu of eggs benedict, spinach frittatas, Tuscan omelette with potato gnocchi, and more. Other not-to-miss items on the menu include waffles and pancakes, making it an ideal spot for kids, too. 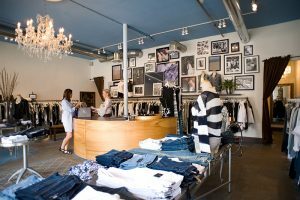 After breakfast, it’s time to explore some of the best shopping in Minneapolis at stories like Bluebird Boutique (bohemian wear), Bumbershute (urban mod clothing), Evereve (comfy chic wear), Parc Boutique (minimalist fashion) and Equation (city chic). 50th & France also has a number of home stores like Cooks of Crocus Hill and Sur La Table, where you can stock up on kitchenware like copper pots, designer aprons and imported cutting knives from Japan. For design inspiration and to find furniture and housewares, head to At Home & Company, a gorgeous store filled with thick upholstered chairs, imported dressers, soy candles, mirrored picture frames and more. “You can get everything you need right here,” says Theleman. “And they’ll be unique,” noting that so many of the stores are local, so you won’t be getting the same hostess gift as another friend before heading to that upcoming party. You could, but then you wouldn’t get to see what else makes Edina such a perfect place to shop in Minneapolis. 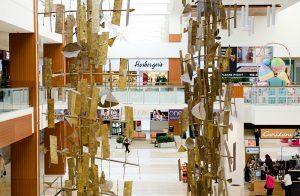 After a morning at 50th & France, make your way nine minutes south by car to Southdale Center, a mall considered the largest and first of its kind (indoor and climate-controlled) in the nation that opened in 1956. The mall was featured in a documentary titled “10 Buildings That Changed America,” praising it for its “Garden Court of Perpetual Spring—a large open space with a goldfish pond and bird aviary, sculptures and a sidewalk cafe.” This is where you can find stores like Macy’s, Herberger’s, Michael Kors, J.Crew, Madewell, Sephora and Aveda. It’s easy to fill an entire afternoon at the mall, and you can grab dinner there in the evening at The Cheesecake Factory, with a menu featuring pastas, pizzas, salads and “glamburgers” (gourmet-style sandwiches). 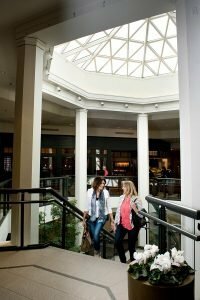 Cocktails, martinis and margaritas are served at the restaurant for shoppers to end the night with a toast to a successful day of shopping—and don’t forget a slice of cheesecake. “We promote each other,” Badzin says of the local stores, which include H.O.B.O. (casual, sophisticated clothing), Ampersand (table wares, skincare, gifts, fragrances and more) and Dugo (evening wear). For worldly housewares and clothing, swing by Sundance for bohemian and rustic furniture, camping-style wear and ethnic textiles. The store is owned by world-famous actor Robert Redford, whose vision is to sell items that reflect his personality. Chef Leonhardi also recommends the New York bone-in strip streak, and loves it topped with blue cheese. He also advocates for all the fresh vegetables on the menu, which rotate seasonally. Pittsburgh Blue is also a destination for wine and cocktails, and bar manager Andrew Shields is the expert behind the bar. “He does some really fun cocktails—a fantastic job of coming up with unique drinks,” says the chef. Coming up this summer at Pittsburgh Blue is a seasonal barbecue menu featured different barbecues from throughout the world (think Carolina, Alabama and even Korea). Before heading home in the afternoon on your final day in Edina, grab breakfast at the Original Pancake House on West 70th Street for must-try pancakes made using a decades-old recipe that dates back to 1953. The pancake selection ranges from Dutch Baby German Pancakes (with powdered sugar, butter and maple syrup) to Three Little Pigs in a Blanket (with three link sausages) to chocolate chip pancakes. The Pancake House doesn’t just serve pancakes; there’s also omelettes, Belgian waffles, crepes, French toast and egg muffins. The restaurant’s interior of floral wallpapers, Victorian-era knick-knacks and stained glass windows adds to the restaurant’s vintage appeal. Finally, don’t go home without a personal, sweet souvenir from Cocoa & Fig at Yorkdale Shoppes. Stock up on sinful cupcakes, macarons, buttercream cake, chocolate dipped Rice Krispie Treats, key lime pies and chocolate covered strawberries. These treats will be the perfect going-away present to yourself or family or friends you’ve left behind on the trip—that is, if you resist the urge to eat them on your trip home.